You can fish for bass in the fully stocked fishing pond at Canyon Springs RV Resort in Caldwell, Idaho. It’s a great spot because it’s near all the amenities of a brand new Idaho RV resort. However, if you’re looking for something a little bigger, the many fishing areas of Southwestern Idaho await you. 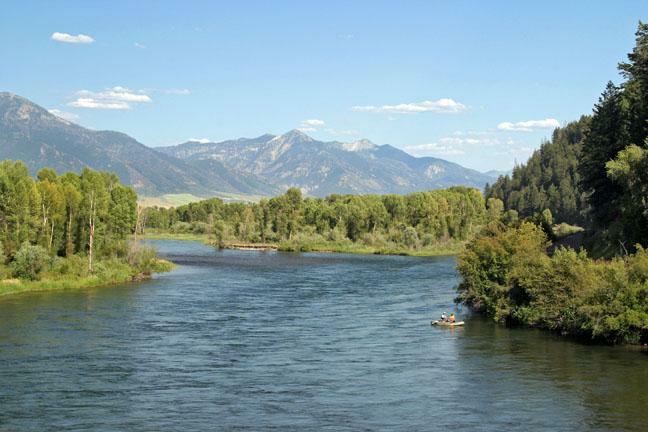 They include fishing in Boise, Nampa and in Caldwell… all within 30 minutes of the resort. While you cannot keep bass from any of Boise fishing waters that is under 12” in length, you can sure have family fun fishing in and around the Boise River. They ponds are stocked in the spring and fall with rainbow trout and bass and bluegill also make their way to many of the seven ponds. Quinn’s Pond has rainbow trout, bluegill, largemouth bass and channel catfish. You can catch all of those plus bullhead catfish at Quinn’s Pond. Enjoy fishing in park-like settings and bank fishing in some of the ponds. Family fishing is plentiful at the Caldwell City Ponds 1 and 2. Kids can enjoy fishing from the shore shielded from the sun with shade from nearby trees. The waters hold crappie, bluegill, rainbow trout, channel catfish, bullhead catfish and largemouth bass. Lake Lowell opened in 1909 and is one of the largest off-stream reservoirs in the west. The lake contains game fish including largemouth bass, smallmouth bass, perch, crappie, bluegill, rainbow trout, channel catfish and brown bullhead. It’s open to shoreline fishing all year and has numerous boat ramps and docks but it’s not until April 15th when motorboats are allowed to troll the lake for fishing.